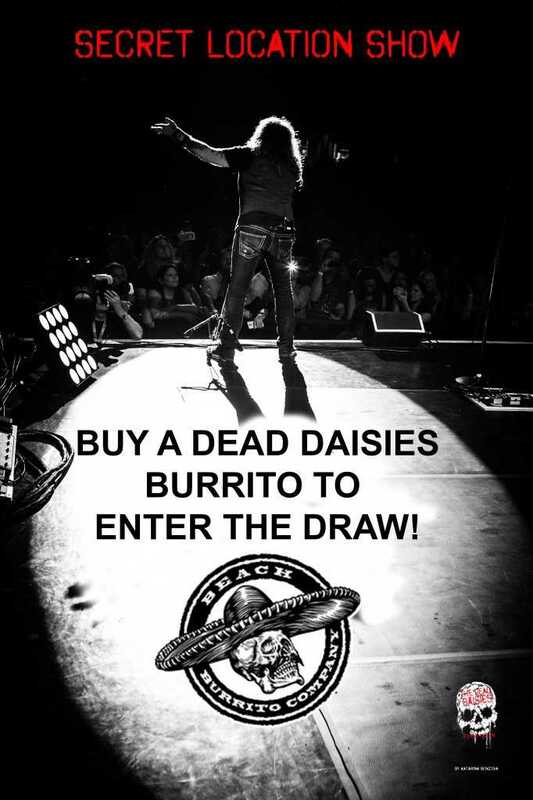 The Dead Daisies “Mexico” Burrito! WE HAVE A BURRITO NAMED AFTER US!!! Because we’re touring the US with Whitesnake/David Coverdale right now we got our friends Luke & Chris to taste it for us at Beach Burrito Newtown! The Dead Daisies are hosting a secret event in Sydney on October 11! Once you’ve got your promo code from a Beach Burrito, ENTER HERE for your chance to win tickets!